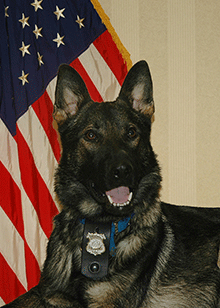 The Brecksville Police Department K-9 unit is assigned to the Patrol Division. The K-9 team is a valuable component of the police department. The K-9 team is able to perform tasks that their human counterparts physically cannot do. The K-9 team is trained and certified in narcotics detection, tracking, article search, building and area searches, handler protection and obedience. The K-9 Unit trains on a regular basis to maintain their skills at the highest level. The K-9 unit is often an ambassador for the police department at community functions and is always one of the most popular visitors at Brecksville’s Safety Town! 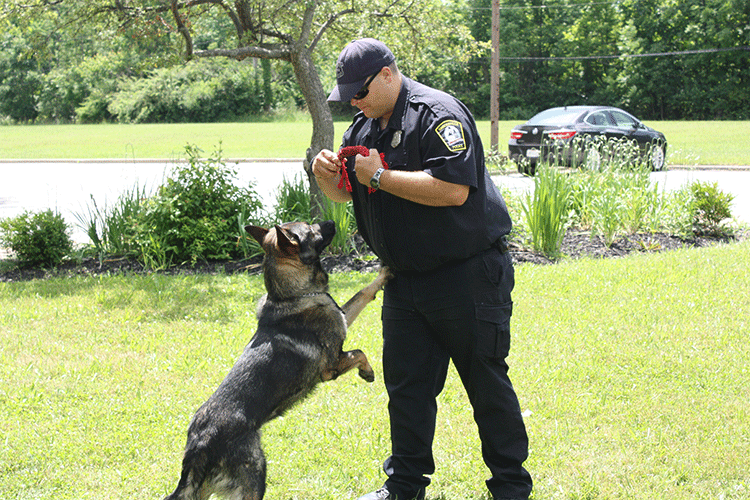 The Brecksville K-9 unit is composed of Sergeant Mike Bauman and K-9 Peto who have been together since October 2012. Sergeant Bauman is a 17 year veteran of the police department. Peto is a German Shepard Dog imported from the Czech Republic. He was born on August 20, 2011 and arrived in the United States in August of 2012 to complete his police training at Excel K-9 Services. Peto weighs 75 pounds and is given his commands in Czech or by hand signals. When not working, Peto resides with Ptlm. Bauman. 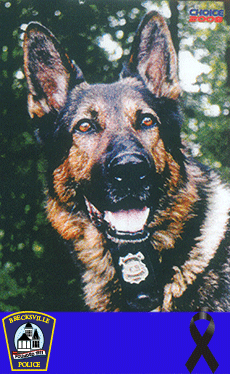 Sunny was the Department’s 2nd K-9 and spent most of his career working with Chief Bill Goodrich. Sunny was as comfortable in the classroom as he was on a track. Sunny accompanied Chief Goodrich on his many visits to the schools and Safety Town. Sunny was a purebred black, tan and red German Shepherd imported from the Czech Republic. He was born on 12/23/99 and weighed 92 pounds. Sunny was trained for handler protection, location and apprehension, narcotics detection, tracking, and article search. 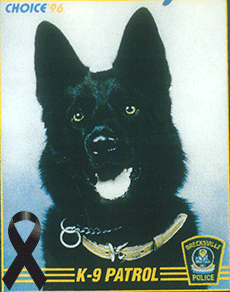 Sunny retired and lived with Chief Goodrich until he passed away. Andy was born on March 16, 1992 in Germany and was employed with the City of Brecksville as the first K-9 Officer on July 25, 1993. Andy lived with his handler Retired Detective Dave Hetrick. Andy was given his commands in German. When Andy retired he remained with Detective Hetrick until he passed away.